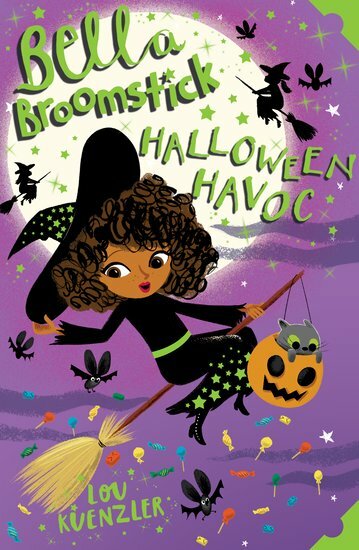 Say hello to Bella Broomstick: hopeless witch and super friend! She’s so rubbish with a wand that she’s been banned from doing magic, and sent to live in Person World. (Who said ‘punishment’? Bella loves it!) Now Bella is really looking forward to her first non-witchy Halloween. Who needs magic when you can carve a pumpkin and go trick-or-treating with your friends? But just as the fun starts, wicked witch Great Aunt Hemlock pays Bella a visit. Really: does this woman have NO sense of timing? The coven is coming, and things are about to get spooky! Merrymeet Village had better look out!